Learn more about Process Service in N.Y.S. 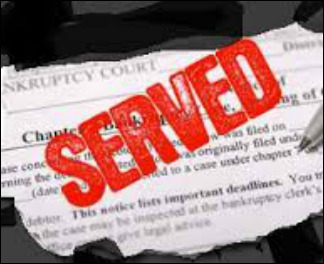 When an attorney client has legal papers that they need served upon a party, they reach out to a professional process server. Fodera & Associates has differentiated themselves as one of the premier process service providers in New York State. We pride ourselves as being able to locate and serve even the most evasive of defendants or respondents. Whether your papers are for a civil, criminal or family court matter, Fodera & Associates will serve your papers on time, professionally and in accordance with all applicable law. We also maintain a vast network of professional process servers across the country who have been pre-screened by us to ensure that the same level of service will be met when we outsource to a sub-contractor. You can remove the frustration of dealing with process servers who are unprofessional, who do not exceed your expectations, or who can not meet with your timeline for service and filing. Try us with one of your most difficult services and we will show you what we can do and create a partnership that will exceed your every expectation. The members of Fodera & Associates have been providing professional process service since 2006. Our servers are all highly skilled and qualified professionals who take their work very seriously. We understand that service of process is critical to the litigation process and we further understand that your selection of Fodera & Associates as your preferred provider entrusts us with the responsibility of ensuring that you do not jeopardize your case. We guarantee service in accordance with state law, on time and with the required affidavits completed and returned to your office for submission to the respective court. We provide on-time service, efficiently, professionally and within the guidelines proscribed by law. We offer rush service, locate service and court filing for additional fees. We provide daily service to the New York State Offices, including Department of State, Department of Tax and Finance and other state agencies. Discounted rates can be negotiated for bulk service to any state agency.